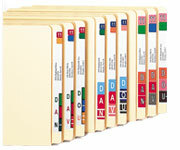 Color coding makes filing easy. The ColorBar® suite of color labeling products gives you the power to produce labels with maximum ease and flexibility. Whether you print one label at a time, need label design capability, or require label printing at multiple locations, ColorBar meets your color labeling needs. 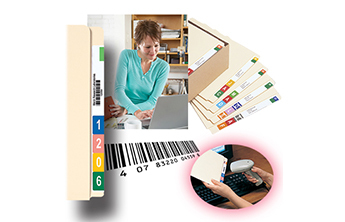 Achieve maximum fileroom efficiency through color coding and automated label printing.